Ideal for all kinds of massages and all skin types. Is easily absorbed, with no oily after-effects on the skin. Donates an immediate feeling of wellbeing. 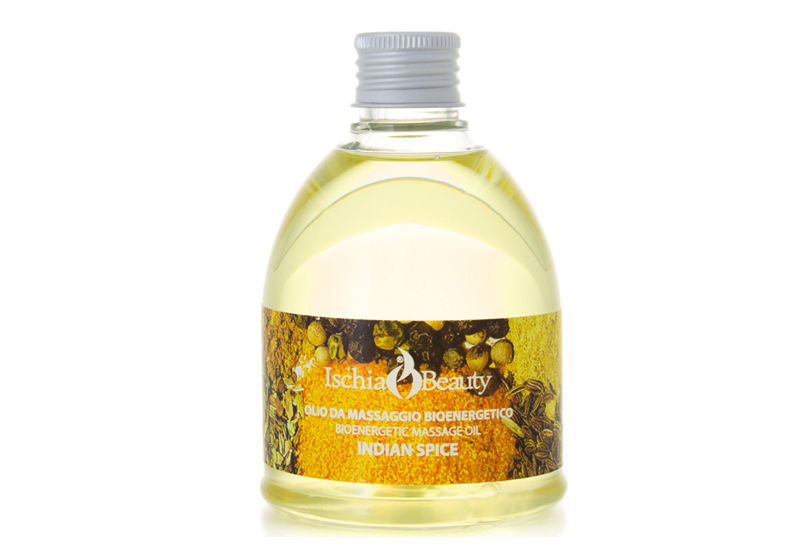 The properties of the jasmine-mango fragrance are: vitaminic, regenerating, relaxing. The properties of the vanilla-cocoa fragrance are: softening, toning, stimulating. The properties of the grape seed are: antioxidant and relaxing. The properties of indian-space are: energizing and stimulating. The properties of coconut are regenerating and relaxing. Fragrance: Jasmine – Mango / Vanilla – Cocoa / Indian-Spice / Neutral / Coconut / Chocolate. Instructions for use: apply bioenergetic oil to interested area and massage softly.